95% of organisms in the area of a spill or leak. Oil coats surface organisms and may also coat benthic or bottom-dwelling organisms. Wave action and currents spread oil horizontally, mixing hydrocarbons with water. Even after external manifestations are gone, oil may still be found in the organisms. Bacteria detoxify poisons in the oil, but they influence the least toxic products first, rendering the remaining oil more poisonous than before. Oil absorbed by marine organisms is stored in the organism's lipid pool and is not available for further degradation. It will only be destroyed when the animal dies. This oil may be passed on through the food chain as one animal preys upon another, ultimately reaching man (Figure 8.5.1). Oil pollution also destroys delicate sea habitat. 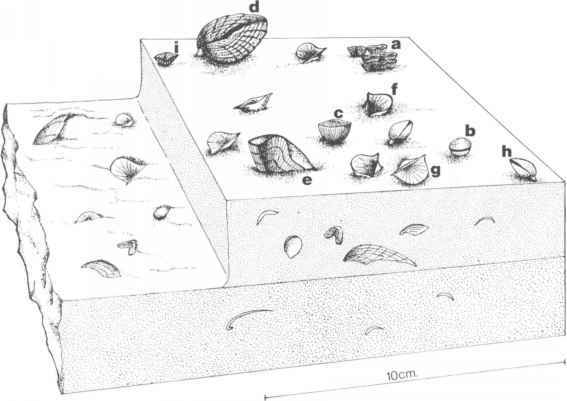 As plants die, currents cause erosion. An animal can never recover if the habitat is gone. Oil causes especially severe damage to salt marshes and estuaries. FIG. 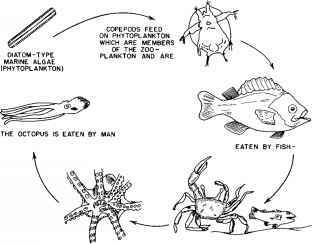 8.5.1 The marine food chain. Few mammals actually live in the sea—whales, seals, and sea otters are the only important mammalian members of the marine community. Like all mammals they possess body hair for insulation. Oil pollution causes the hair to become matted, reducing its effectiveness as a thermal insulator. The animal either freezes or succumbs to diseases because of lowered resistance. Mammals are also affected by oil through the food chain. This is especially important in whales since they are plankton feeders. Reduction in the plankton population may cause whales to relocate or starve. Oil mats the feathers so that the birds cannot fly or stay afloat. This matting also hampers insulation, causing many birds to freeze. The birds try to preen and ingest the oil, which can poison them. 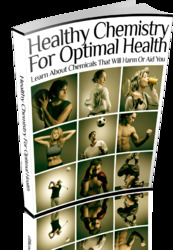 The oil can also cause blindness if it penetrates the eyes. Birds that manage to return to their nests in breeding season carry oil to the eggs, preventing them from hatching. If the bird survives the initial onslaught of the oil, it may die later because of lowered resistance or habitat damage. Only 3-5% of birds survive oil pollution even if they receive treatment (White and Blair 1971). Much oil pollution occurs in offshore waters vital to fish production. In one experiment, fish larvae that came into contact with oil hatched prematurely and died. Nutrition in fish is affected by oil in two ways, including blocking of taste receptors, and imitating the natural chemical messages that alert fish to their prey. Respiration is interfered with either by blocking the gills with oil or by effects of trace metals and hydrocarbons on brachial cells. Emulsified oil is more harmful to fish than surface oil. As members of the benthic (bottom) community, mollusks are more harmed than other marine organisms. They live in large beds on the ocean floor and have no way to escape the oil. In the immediate area of oil pollution, mol-lusk beds are smothered as oil is spread vertically. In one area, long-range pollution caused mussels to become sterile. Mollusks tend to assimilate hydrocarbons into their lipid pool and store them. Oysters removed to unpolluted water do not show any reduction in unnatural hydrocarbon levels. These stored hydrocarbons are passed through the food chain and can ultimately be passed to man. Zooplankton are microorganisms living in the upper surface of the ocean. They include the larvae of fish, lobsters, and other marine invertebrates and are the food source for the majority of larger ocean organisms. In the immediate area of oil pollution, plankton are killed. This has effects beyond the polluted area, since many fish larvae in plankton are migratory species. Exposure to diesel oil increases the death rate of exposed organisms. Ocean bottom dwellers cover a wide range of organisms, including crustaceans, corals, sponges, sea anemones, worms, amphipods, and mollusks. They are smothered by oil sinking to the ocean floor. Bottom dwellers are also adversely affected when the bottom plants can no longer hold back erosion, causing the bottom habitat to be destroyed. The amphipods of the family Ampeliscidae are highly sus ceptible to oil pollution. On the other hand, the annelid worm Capitella capitata is not. It was noted that after the amphipods were dead and unable to repopulate because of long-term oil pollution, the C capitata population was increasing. In one typical oil spill area, a trawl in 10 ft of water disclosed that 95% of bottom life was dead or dying. Organisms included lobsters, crabs, snails, and clams. Algae, the counterpart of grass, plants, and trees in the water, provides food and shelter and helps to prevent erosion of the sea bottom. As oil spreads, it covers the algae and prevents photosynthesis. As the algae deteriorates, so does the environment. Erosion not only destroys the bottom habitat; it spreads the oil further. A small concentration of oil causes the destruction of native algae and permits foreign species to take hold, lowering the quality of the environment. Phytoplankton consists of microscopic algae living on the ocean surface. These tiny plants manufacture 90% of the atmospheric oxygen and also form the basis of the marine food chain. High oil concentrations will kill phytoplank-ton. Lower concentrations stop cell division and cause slower death. A 19% extract of crude oil retarded cell division in Phaedactylum tricornatum after a 4-day exposure. It was observed that cell membranes were damaged by hydrocarbons so that the cytoplasm leaked out. Oil washed into tidal marshes can destroy rushes, sedges, and grasses if the area is covered. Oil clogs the stomata and makes photosynthesis impossible. Poisons in the oil may also kill marsh plants. As the plants die the marsh may erode, destroying the habitat; oil may remain in marsh sediment for years. Oil trapped in the salt marsh can make it impossible for the marsh to become reproductive again. This not only damages wildlife but causes flooding because the lifeless plants can no longer absorb excess water. Table 8.5.1 summarizes the effects of oil pollution on marine life.